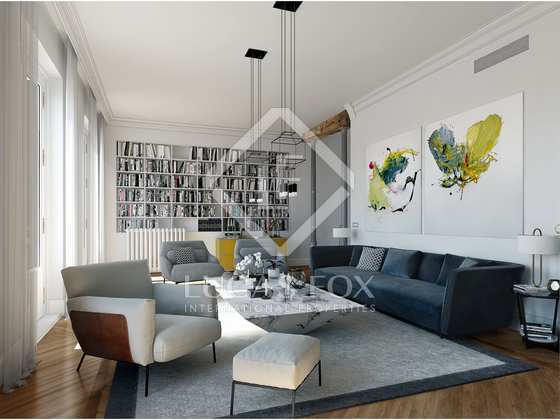 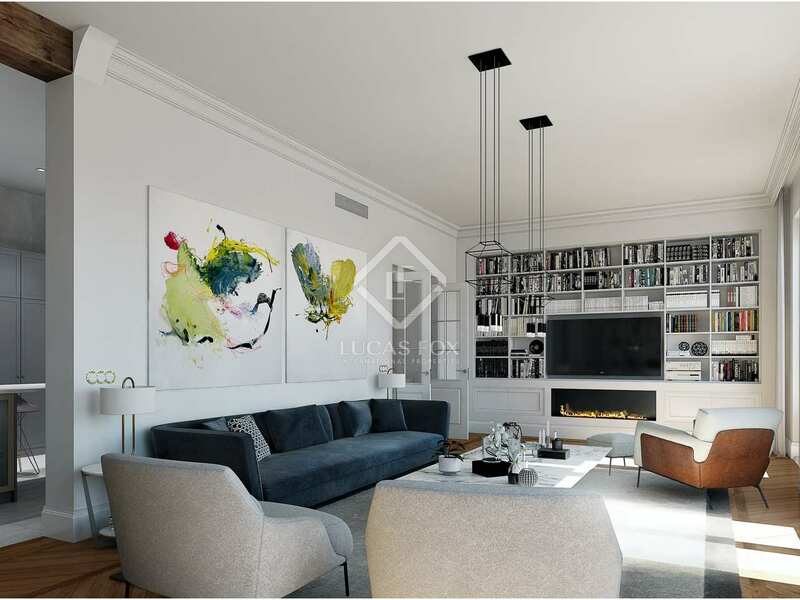 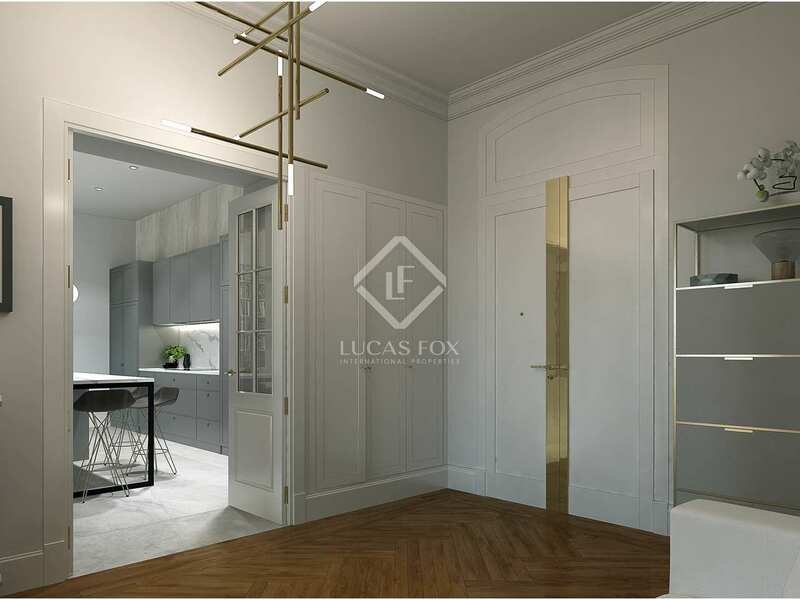 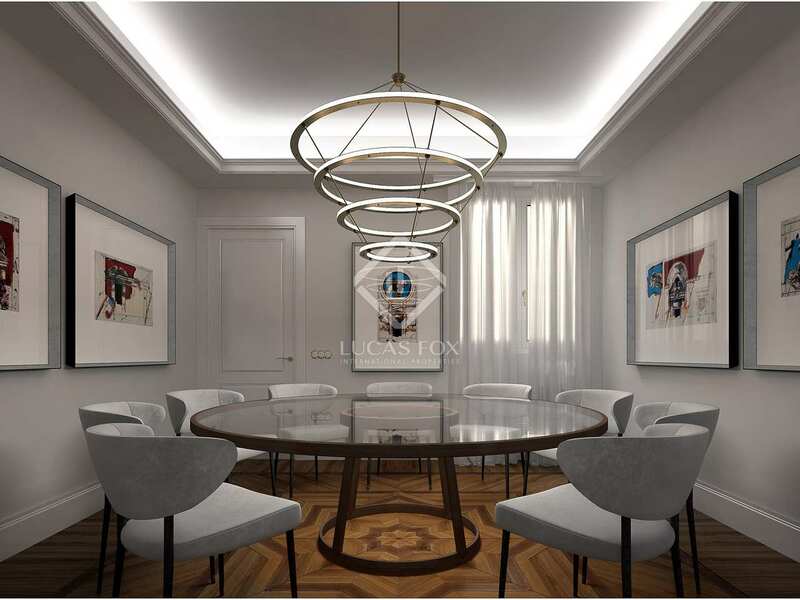 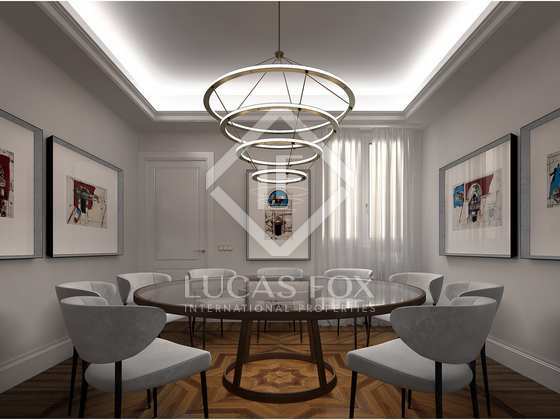 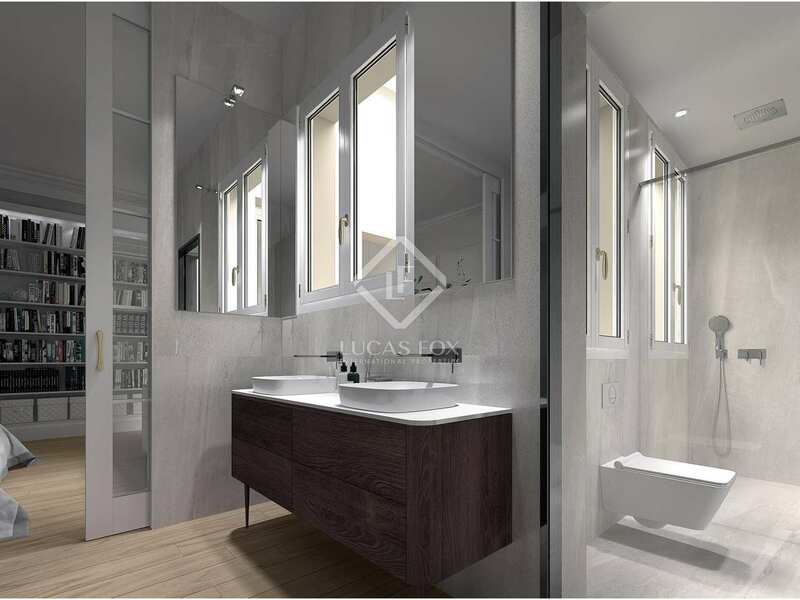 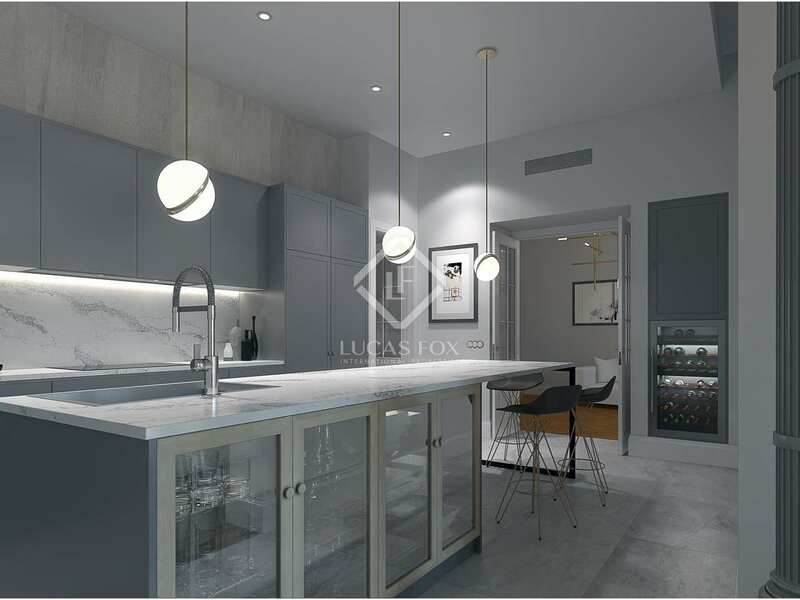 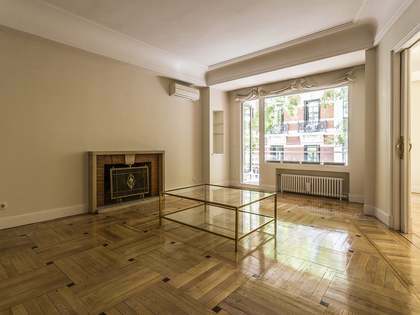 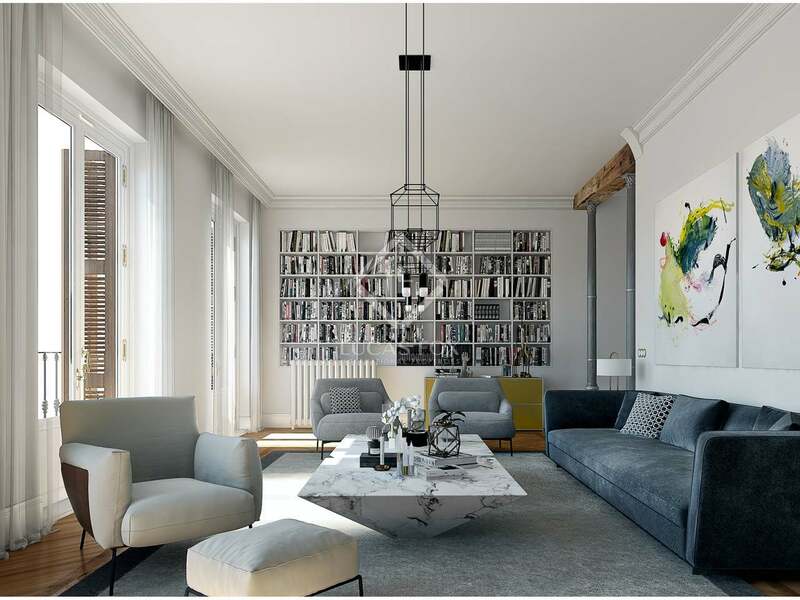 This impressive property is situated on Calle Mayor, in the heart of Madrid, and has been completely renovated with the best qualities and finishes in a very sophisticated style. 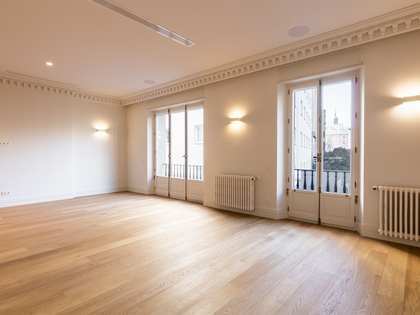 It is situated in a wonderful historical building with very high ceilings and 3 balconies overlooking the beautiful surrounding buildings. 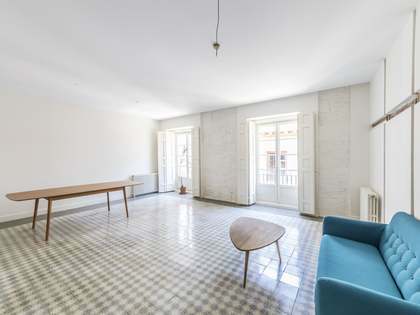 As we walk into the property, we find a pleasant airy entrance that leads us to the living area with 3 balconies and high ceilings, overlooking the gorgeous historical buildings of Calle Mayor. 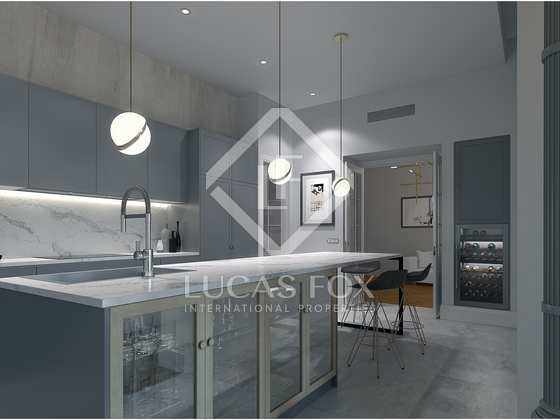 The kitchen is semi open and annexed to the living area with a spacious dining room and a guest's bathroom. 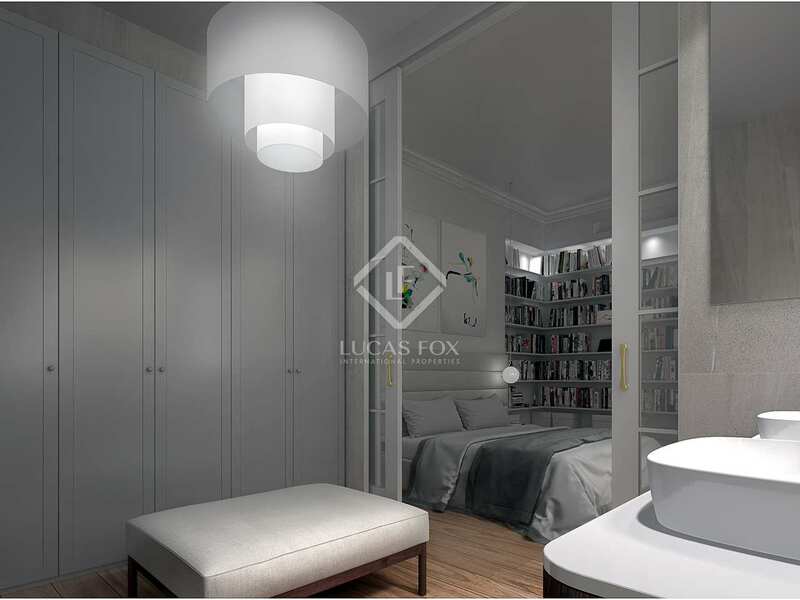 On the other side we find the sleeping area which comprises 3 beautiful bedrooms with ensuite bathrooms and built-in closets, including the master with a large walk-in closet. 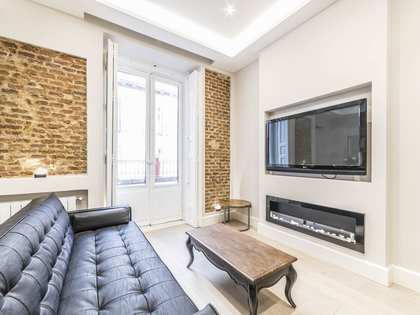 Being so close to Km Zero in Sol, a range of shops, the Casco Hisórico, Palacio Real, Plaza Mayor, etc, this is a highly desirable place to live and ideal for a couple, families or investors for short-term rental. 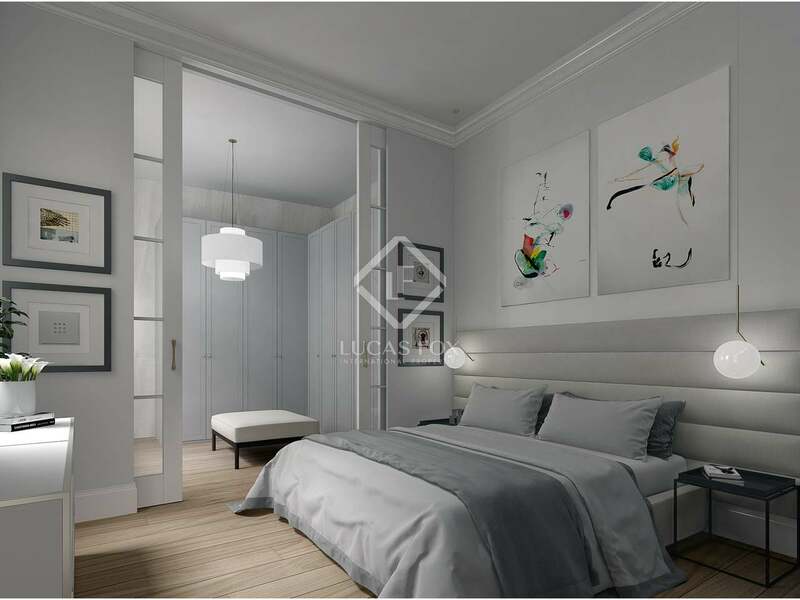 What's more, the area will experience a positive impact as the 4 seasons hotel is currently being built in Sol, making it a very wise investment. 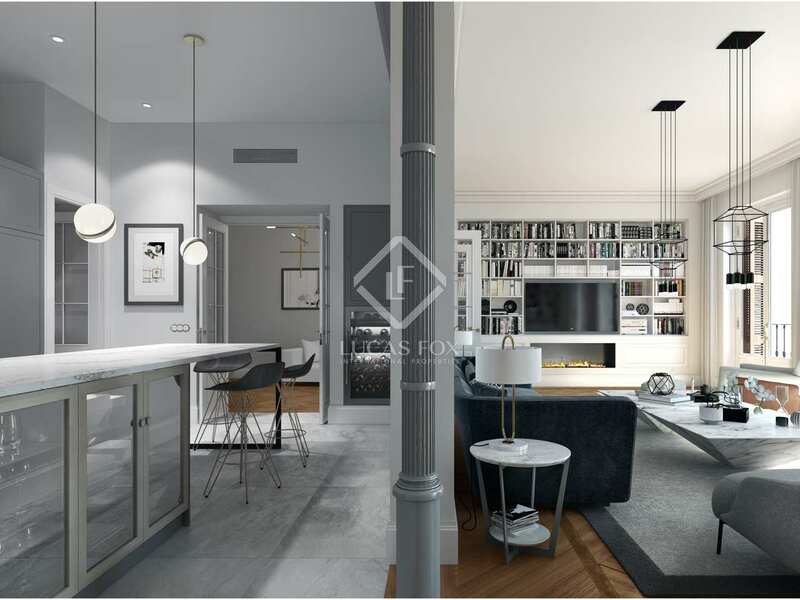 Property found in the Sol neighbourhood of Madrid City centre. 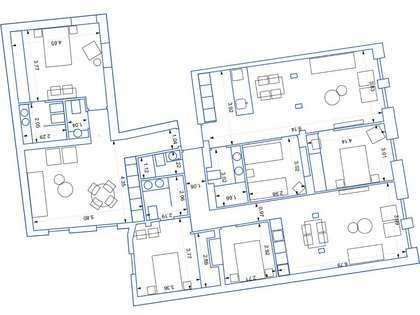 It is situated only a 100 metres from the emblematic Km zero in Sol and its shopping area with several boutiques. 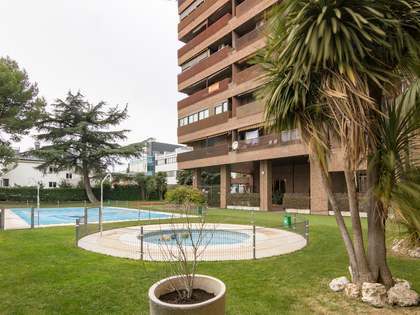 Also the main tourist places of interest are only a few steps from the property, for example the Plaza Mayor, Palacio Real, Casco histórico, etc.